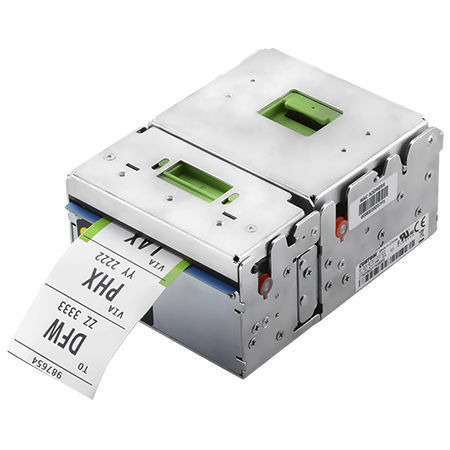 KPM180H-LL is the most compact boarding pass and baggage tag printer with native AEA firmware or Windows driver for a seamless integration in CUSS platforms. KPM180H-LL has been specially designed for small SBD or CUSS, where space is essential. The printer is capable of managing thick paper, up to 255gsm, and tickets from 20mm to 82.5 mm in width, with reliable and fast printing at 200 mm/sec. The "hot swap function" allows to remove the printer from the kiosk without turning it off. 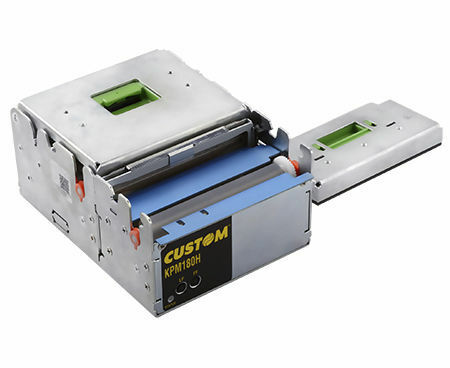 KPM180H-LL comes equipped with a highly reliable cutter: that includes a motorized retainer with a programmable ejecting function to deliver the tag in a kiosk chute/retaining function to prevent the ticket from falling after the cut. The printer supports 2D barcodes and comes equipped with status monitor for receiving remote feedback from the printer, in an easy and efficient manner. In addition to the most common sensors, it is equipped with the new mobile VeryNotch sensors, capable of identifying black marks and gaps on the non-thermal side. 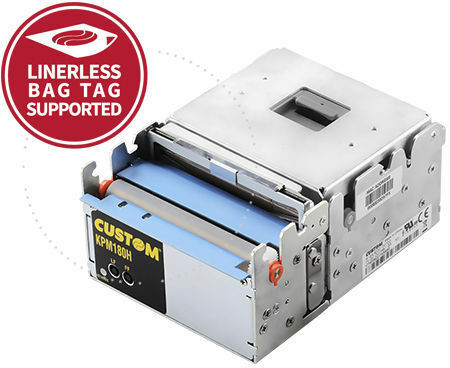 It now supports linerless bag-tags. Ethernet, USB, RS232 are the standard interfaces all included in the printer.